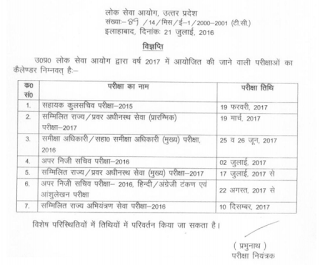 Uttar Pradesh Public Service Commission (UPPSC) organizes several exams in a year for its staff requirements. Recently It had released their schedule for examinations to be held throughout 2017 years. 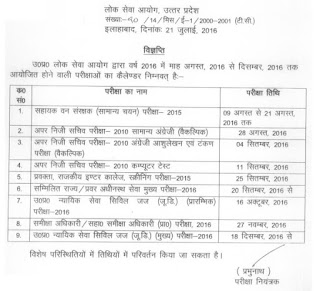 Previously exam schedule for 2016 is released. 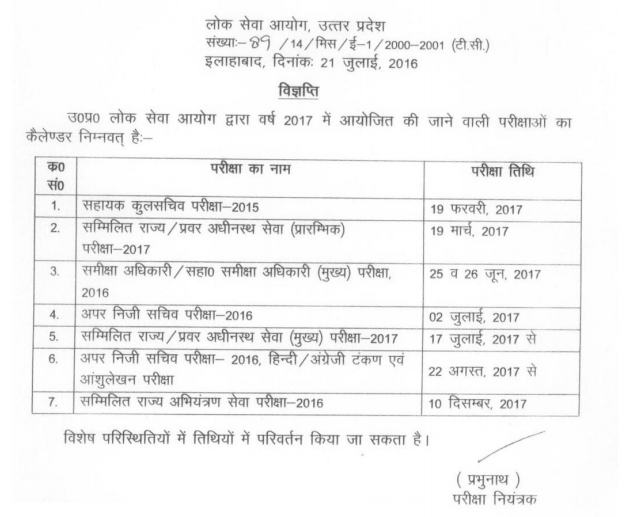 Through this exam calendar, UPPSC notified when it is going to conduct its RO/ ARO, Lecturer, Judicial services, combined state upper/ lower subordinate services exams. Here you can check UPPSC Exam Calendar for 2016 and 2017 years. 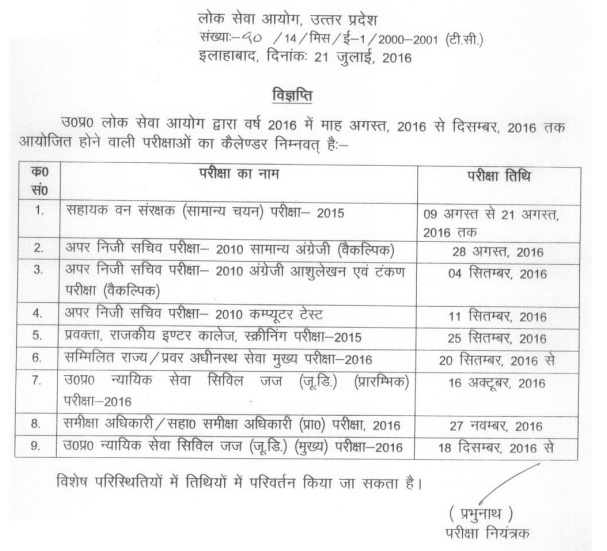 Here is the list of upcoming exams in the year 2016.